Discover the wso cash code and my proven formula to make tens of thousands of dollars creating and selling highly profitable information products. 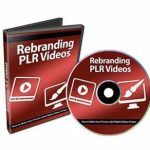 Sick of wondering how to create highly profitable information products that sell like “HotCakes”? I have been asked many times “what is the easiest way to make money online”?. Is it email marketing? Is it affiliate marketing? Is it YouTube marketing? Or is there some special bit of software that you can use to flood your account with tonnes of sales? Nope, I’m afraid the answer is No to all of those. By the far the easiest way to make money online is launching WSO’s. Here’s a screen shot of my warrior plus account with a total of almost $45k and over 5,000 sales. The reason is because you already have an engaged audience seeking out products to buy at a price they can afford. Better yet, the traffic in the WSO section are already in buying mode so all you need to do is give them what they are looking for and they will buy from you. Another huge benefit of launching a WSO is that you overcome on giant obstacle and that is TRAFFIC. Instead of having to drive traffic yourself you simply put your product in the WSO section and you will automatically get traffic to it. Another thing you need to remember is that “buyer” traffic converts way higher than normal traffic and your conversions can be as high as 20 – 30% and even more. So in effect with WSOs you have upto 30 times the number of sales flooding your PayPal account, if you know the ‘WSO Cash Code’. Now I am going to keep this short and sweet, because what I am about to show you literally sells itself. I have a very specific process for making thousands of dollars with WSO’s. In only the last few months I have generated upwards of $17,000 just from WSO’s alone. Not bad considering that figure doesn’t take into account the back end sales. But what’s great for you is that my process is proven to work not only for me, but for other Warriors that have been lucky enough to try it – even newbies. If you are looking for an exact system to follow to create and sell information products that can easily make you $2k, $3k for just the simplest of WSO’s then grab this course right now. 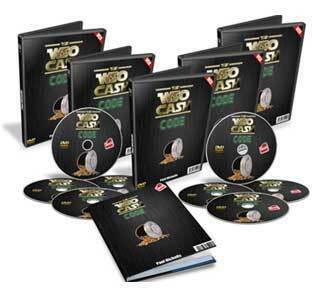 WSO Cash Code is a step by step video course with 16 videos and a 37 page PDF book detailing my exact system I follow each time to make thousands of dollars from WSO’s. This course reveals EVERYTHING I know about making piles of cash with Warrior Special Offers. I leave no stone unturned in this MASSIVE course that is PROVEN to work time and time again. The course is laid out in ‘step by step’ fashion so I literally take you by the hand and show you exactly what to do. In this regard you are copying my system to the letter and I promise you when you do that, you WILL MAKE MONEY. The 1 strategy I have been quietly using to bombard my wso’s with sales fast, use this and getting wso of the day is just around the corner. I look forward to helping you make this year your best yet!